The film Animals United is a computer generated, 3D animation set on Botswana's Okavango Delta, on the African continent. A meerkat named Billy and a lion called Sacrates are the main characters as a drought threatens the delta. The annual flooding provides the plants and animals of the delta with much needed water and the failure of the flood to happen on time this year creates tensions and causes many of the animals to begin fighting over the small amounts of water available. Meerkat Billy and lion Socrates decide they will go in search of more water. The quest for water leads the two to meet animals that they have never seen before including a polar bear, Tasmanian devil, tortoise, a French rooster and a kangaroo. The odd group of animals have come to Africa, from many places around the world. They have been forced out of their home lands by thoughtless humans. Billy, Socrates and the other animals eventually find the reason for the dry year in the delta is a dam. The dam has been built as means of supplying electricity to a new resort. At one point Socrates is captured and caged by the people of the resort. Billy leads his band of animal friends on a daring mission to liberate Socrates and release the flood waters from the dam. 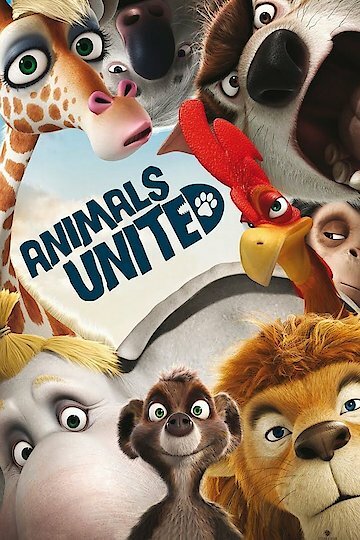 Animals United is a Germany movie released in 2010. This movie is a comedy/adventure animation and was directed by Reinhard Klooss and Holger Tappe and was released on October 10th of 2010. The film is rated PG and runs 1 hour and 33 minutes. The English version stars James Cordon as the voice of Billy, Stephen Fry as the voice of Socrates, Jim Broadbent as the voice of Winston and Vanessa Redgrave as the voice of Winifred.